User agreement between the user (customer) and FerryOnline. Please read these terms and conditions of use (Terms and Conditions) carefully before using this Site and making any booking. FerryOnline is maintained for your personal use and viewing. By using this site featuring these terms and conditions constitutes your acceptance of these terms and conditions. They take effect from the date on which you first use this website. You agree to use this site only for lawful purposes, and in a manner that does not infringe the rights of, or restrict or inhibit the use and enjoyment of this site by any third party. Information collected by us is used to improve the content of FerryOnline, to customise the content and/or layout of FerryOnline and to contact users. Acting as an agent, FerryOnline will pass your details onto any third party tour operator / travel company as deemed necessary to complete your travel booking. FerryOnline does not accept any liability in respect of your ability to access or use the site at any time, any interruption in that access or the failure to complete any transaction. FerryOnline reserve the right to change or update the Terms and Conditions relating to use of the Site from time to time without prior notice to Users. Continued use of the Site following any changes to the Terms and Conditions shall constitute your acceptance of such changes. You agree to indemnify FerryOnline against any loss, liability, claim, demand, damage, or expenses (including legal fees) that may occur in connection with the use of this site. These Booking Conditions apply to all car, motorbike and passenger ferry bookings through FerryOnline and/or any of its affiliates and associated websites. Once a booking has been made on our site and we have received full payment which is accepted by FerryOnline, we will issue you an email confirmation detailing your relevant booking. All bookings must be prepaid. The email confirmation contains your booking number which you must present with relevant photo I.D prior to boarding so you can receive your tickets. Bookings can be made by credit or debit card and credit card charges apply to certain cards. Once details have been confirmed to you by email, a confirmation based on these booking conditions will be deemed to have come into effect between us without issuing tickets. Your booking for ferry travel does not form a contract with FerryOnline. Your contract is with the Ferry Operator. All bookings are subject to availability and the following conditions apply in addition to the conditions of the Ferry Operator. FerryOnline is not responsible for any errors or omissions of the Ferry Operator and acts only as an agent for the Ferry Operator. If, notwithstanding the above, FerryOnline is held to be the primary contracting party, FerryOnline contracts only in accordance with these Booking Conditions. Cancellations - Some fares are non-refundable, but where a booking can be cancelled (subject to the individual cancellation policy of the ferry operator) FerryOnline will charge a minimum fee of £25 per booking for all cancellations prior to departure in addition to any charges by the ferry operator. Amendments - When our offers are amendable FerryOnline will charge a minimum fee of £25 per booking for all amendments prior to departure in addition to any charges by the ferry operator. Fares - All fares are based on vehicle type, size, number of passengers, route(s), departure times, travel period and dates of travel and are subject to availability. Your booking may require you to depart and/or return at or within specified dates and times. If you do not adhere to such specified dates and times, you may be refused travel and/or have your booking specification and accommodation changed, and/or be subject to additional charges. In particular, the benefit of any promotional rates may be lost and full fare charged. Any additional charges are payable prior to boarding and may be debited to your credit or debit card at any time thereafter without further reference to yourself. FerryOnline is not liable if you miss your departure, misuse the terms of booking or overstay the travel period your booking allows. The full cost of the relevant booking will be chargeable. All departure/arrival times are provided by the operator and are given in local time. 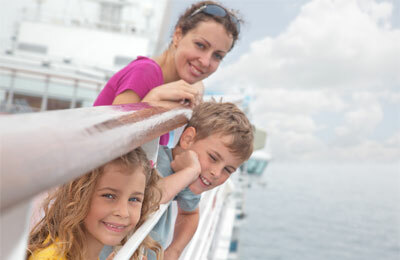 Bookings cannot be made or purchased on some services without on board accommodation. 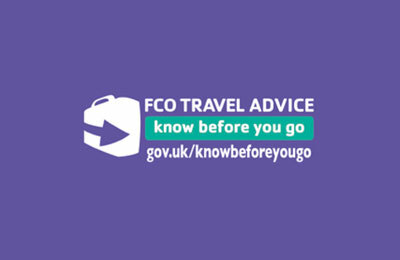 Vehicle and passenger space and onboard accommodation are subject to allocation and therefore may not always be available. Promotional fares are subject to additional special conditions including a general condition that if any portion of the itinerary is not used, we reserve the right to cancel. FerryOnline retains the right to vary our fares according to market conditions or costs are beyond our control, (including, but not limited to currency fluctuations, oil prices, increases by the Ferry Operator and government legislation). Items such as roof boxes/bike racks or any other items attached to a vehicle not forming part of the vehicle body but attached to it will be charged and an additional fee made. Not all of the ferry operators have facilities or accept bookings for people with disabilities. Enquiries should be made at the time of booking via the "My Account" link provided to you on your Booking Confirmation Email, as to whether the ferry operator has the facilities available. FerryOnline provides real-time booking functionality for the majority of fares and you will receive confirmation by email instantly if the booking has been accepted. There are a number of fares that are subject to virtual booking with the relevant operator. FerryOnline cannot accept liability for any interruptions or changes to your travel due to adverse weather conditions or tidal conditions or other circumstances. Customer services will attempt to notify you of any serious conditions that may affect your travel, but please check the travel conditions before departure. FerryOnline cannot accept liability for changes to the service including the use of alternate ships or the withdrawal of onboard facilities and services. Your minimum check in times are as stated on the booking confirmation otherwise boarding cannot be guaranteed as waiting lists may have been accepted. 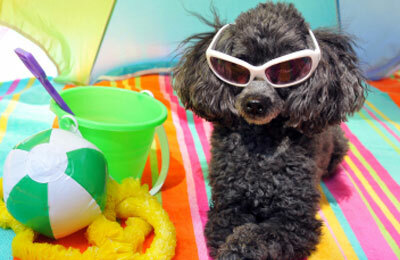 If you have special requirements, or have received our permission to carry animals or dangerous goods, generally you are expected to check in earlier as stated on your booking confirmation. We will not accept (as agents) bookings to carry passengers under the age of 16 unless an adult of 18 years or older accompanies them. The Ferry Operator and FerryOnline have absolute discretion whether or not to accept any passenger, their vehicle or luggage on board. You must have all the necessary travel documents to enter the countries which you intend to visit and for re-entry into the country of departure. If you do not have valid documents you will not be able to board. 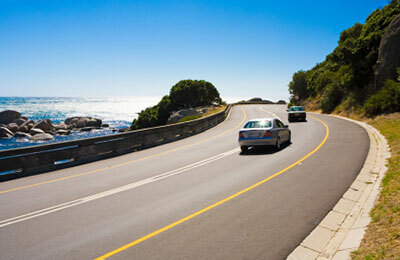 It is the entire responsibility of the passenger to access and provide the relevant documentation required to travel. Once you have made your booking your will receive a booking confirmation email from us with your booking reference, and a link to amend or cancel your booking via My Account. Please use this link for all booking related correspondence. Please note: to contact customer services please write to Ferryonline, 22 Sussex Street, London, SW1V 4RW. Or message us via the "My Account" link provided to you on your Booking Confirmation Email. The Company will not accept bookings for vehicles that are carrying dangerous or hazardous materials, including in certain circumstances vehicles powered by LPG. Written permission in certain circumstances may be obtained from the FerryOnline and the Ferry Operator, but such permission may be subject to additional charges and conditions. You are responsible to FerryOnline and the Ferry Operator for the carriage of such materials, whether declared or undeclared. In the event that you seek to carry undeclared dangerous/hazardous materials, carriage may be refused without refund. Special conditions and tariffs apply to the carriage of freight and commercial passenger vehicles. The definition of what constitutes a Freight Vehicle and whether any special tariff applies is determined by the Ferry Operator in each case. By way of guidance only, vehicles exceeding 6.5 metres in length & or 3.5 tonnes, specifically constructed or adapted for the carriage of freight whether carrying goods or not, are generally subject to special tariffs, as are any vehicles of other specification but which are carrying merchandise or travelling for a commercial purpose. In the event that a vehicle is booked as a car, van or private vehicle, but is found to be a Freight Vehicle, the full tariff rate will be charged and/or carriage will be refused without refund. FerryOnline encourages websites to link to it. We do not however permit our pages to be loaded into frames on your site; FerryOnline pages must load into the user's entire window FerryOnline does not permit links from any site that contains material that could be construed as offensive. This site and the content provided, including the text and graphics is subject to copyright laws and may not be copied, reproduced, republished, uploaded, posted, transmitted or distributed without the written permission of FerryOnline. You may however use content from this site for personal and non-commercial use. The material contained within the Site is the property of FerryOnline or its affiliates unless identified as belonging to third parties. The name Ferryonline and any other marks, logos and graphics of FerryOnline displayed on the Site are registered trademarks of FerryOnline or its affiliates. Other company and product or service names displayed on the Site may be the trademarks of their respective owners. FerryOnline provides general information on the Site for purposes of guidance only. Please note that FerryOnline may at any time change any aspect of the Site or its content, including the availability of operators, features, information, database or content. In particular, with respect to passports, visas, and vaccination requirements, FerryOnline does not guarantee that the information is always up to date and it is your responsibility to ensure that you understand and comply with all relevant passport, visa, and vaccination requirements. 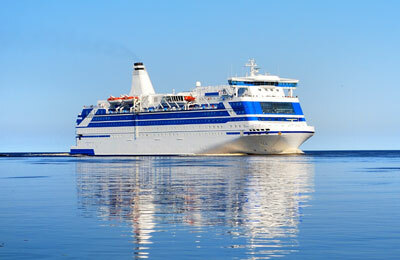 FerryOnline does not guarantee that the information on this Site (including without limitation prices, descriptions or dates) is free from errors or omissions but we will use all reasonable endeavours to correct any errors or omissions as soon as practicable once they have been brought to our attention. Your booking and these booking conditions are subject to any compulsory law or convention applicable to the ferry booking and your attention is specifically drawn to the Athens Convention relating to the Carriage of Passengers and Their Luggage by Sea 1974, which both imposes obligations on the carrier and limits their liability. Jurisdiction and Law - These Booking Conditions and any act or contract to which they apply shall be governed by English Law and any dispute arising there from shall be subject to the non-exclusive jurisdiction of the English Courts. Severability - These terms and conditions shall be deemed severable. In the event that any provision is determined to be unenforceable or invalid, such provision shall nonetheless be enforced to the fullest extent permitted by applicable law, and such determination shall not affect the validity and enforceability of any other remaining provisions.